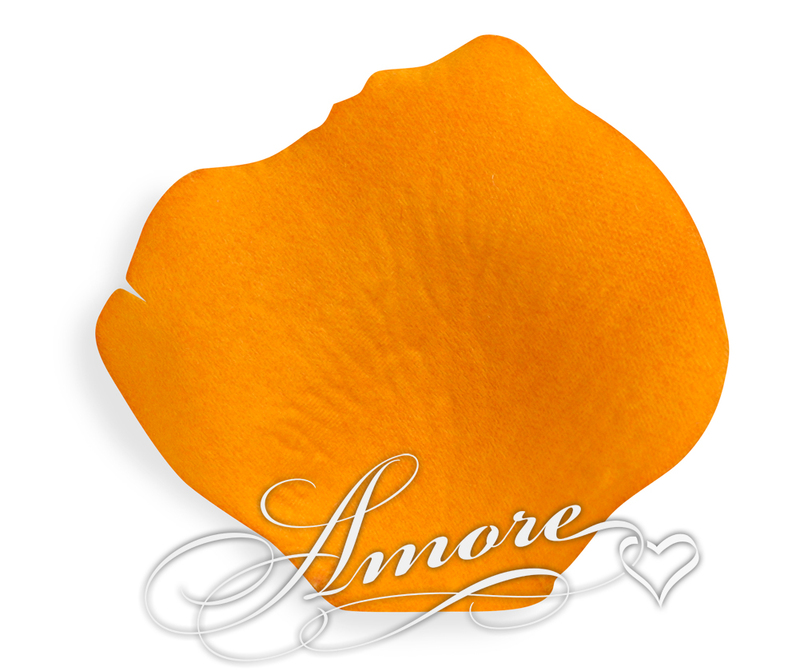 Burnt Orange Silk Rose Petals are subtly veined and shaped to look natural. This is truly compliment for apricot, sherbet colors all the way to orange. The elegance of this color will leave a lasting impression for all whom celebrate with you. High quality silk rose petals. No small or sheer petals between. Petal size is 2 inch H x 2 1/4 inch W.